The Hubble telescope is currently in "safe mode" due to a recent malfunction of one of three operational gyroscopes on the spacecraft. The Hubble telescope is currently in “safe mode” following reports that one of its gyroscopes malfunctioned. 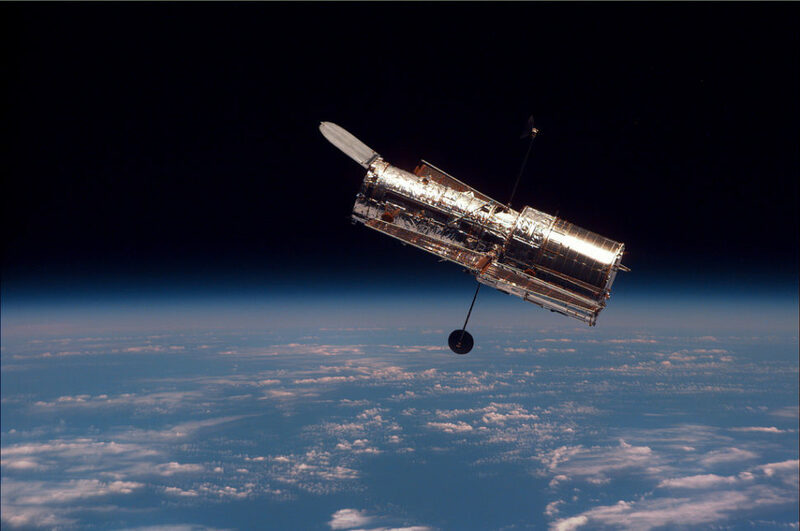 Engineers at the National Aeronautics and Space Administration were reportedly forced to put the Hubble telescope in “safe mode” after one of its last three remaining gyroscopes showed signs of malfunction. In a statement issued by NASA, it said that it’s now doing everything it can to fix the problem. To date, the Hubble Space Telescope is considered to be one of the most influential instruments ever made to help scientists push the boundaries of their knowledge of the universe. The Hubble telescope, launched in 1990, has explored the most remote regions of the cosmos in search of clues about the origin of life and the universe itself. The gyroscopes on board the Hubble Space Telescope are highly significant in steering the spacecraft to get a steady view of space. According to NASA, the one that failed has been acting up for about a year now. “The gyro that failed had been exhibiting end-of-life behavior for approximately a year, and its failure was not unexpected; two other gyros of the same type had already failed. The remaining three gyros available for use are technically enhanced and therefore expected to have significantly longer operational lives,” NASA wrote. “An Anomaly Review Board, including experts from the Hubble team and industry familiar with the design and performance of this type of gyro, is being formed to investigate this issue and develop the recovery plan. If the outcome of this investigation results in recovery of the malfunctioning gyro, Hubble will resume science operations in its standard three-gyro configuration,” NASA further said. Should NASA fail to recover the malfunctioning gyro, they would resume Hubble’s operation using the remaining two gyroscopes. It has no overall impact on the scientific capabilities of the decades-old space telescope but would mean limited sky coverage for scientists. How much will this malfunction and limited functioning affect the overall Hubble program? Is this another sign of NASA’s budget troubles and the need for more private involvement?